A distinctive beer requires a distinctive bottle, which is why a new farmhouse brewery in Belgium has chosen bottles made by Beatson Clark in Rotherham to launch its new range. The Greasborough Road firm, which has been making glass bottles and jars in Rotherham since 1751, specialises in providing glass packaging solutions for niche brands in the food, drink and pharmaceutical markets worldwide. It manufactures bottles for many well known breweries including Robinson's, Meantime, Bedlam and Brooklyn Brewery in New York. The Humblet family began restoring Bertinchamps farm, situated not far from Gembloux, in 2011 and launched the first range of beers from their new brewery two years later. Now they are launching a second range of more unusual beers under the B+ brand, and they have chosen Beatson Clark's 330ml beer bottle via Pont Europe, a leading pan-European supplier of glass bottles and jars and a sister company of Beatson Clark. 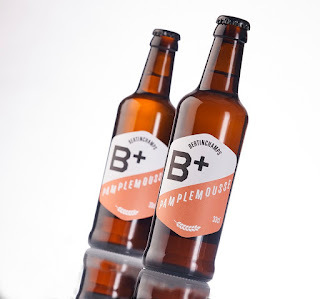 The first beer to be brewed in the B+ range was Pamplemousse, or grapefruit, and this will be followed by a white beer or wheat beer and other styles later this year. Pamplemousse has already been sold in France, Italy and Taiwan and will be launching soon in other Asian countries and South Africa. Mario Vleurinck, sales manager at Pont Europe in Belgium, said: "Beers with fruit flavours sell very well in warmer countries and Bertinchamps hopes to export 70% of its B+ range while selling the remaining 30% in Belgium. "It's great to see another overseas customer choosing Beatson Clark's standard bottles because of their elegance and quality." Jean-Philippe Humblet from Bertinchamps Brewery, added: "When it came to launching our new range of beers we were looking for a nice, distinctive 330ml bottle that hadn’t been seen much on the market. "We spoke to various glass manufacturers but couldn't find what we were looking for – until we met Mario, who showed us the Beatson Clark range. "The bottle we chose has an unusual shape and we really like its modern and elegant design."